In May, I attended the Meet & Tweet Blogger conference hosted by the fabulous Fitness Magazine. It was an incredible day surrounding myself with bloggers alike and many #FitFluential beauties who love health, fitness, food and beauty. 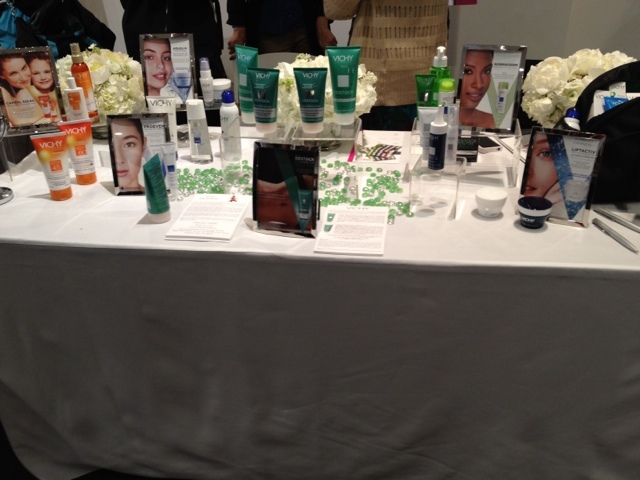 There were so many great panels and brands represented at the conference. There was a mini fashion show (from GYM to Street-looks), discussions on how to make $$ from your blog and beauty secrets from Laura Geller herself! 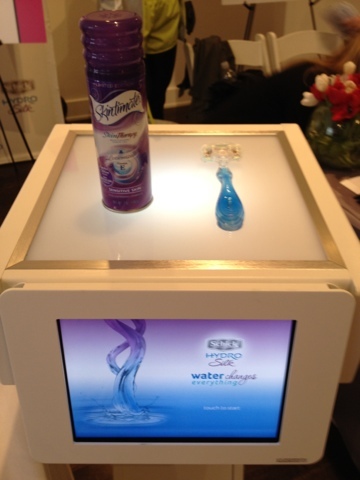 As always, I loved checking out the new products that were showcased at the conference. And as a special bonus to visiting the booths, at the end of they day, they gifted us a huge bag full of goodies. Thank you to FITNESS magazine for an amazing day and happy 20th birthday! Below are the many booths at the conference.. stay tuned for more! 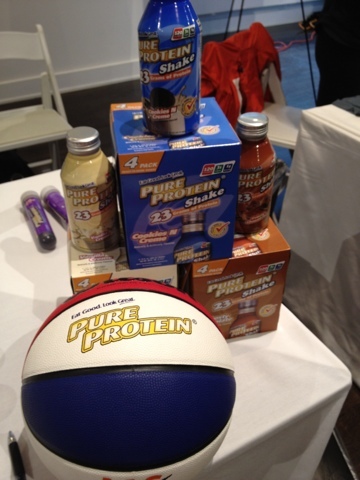 Pure Protein- sampled their Shakes- yum! 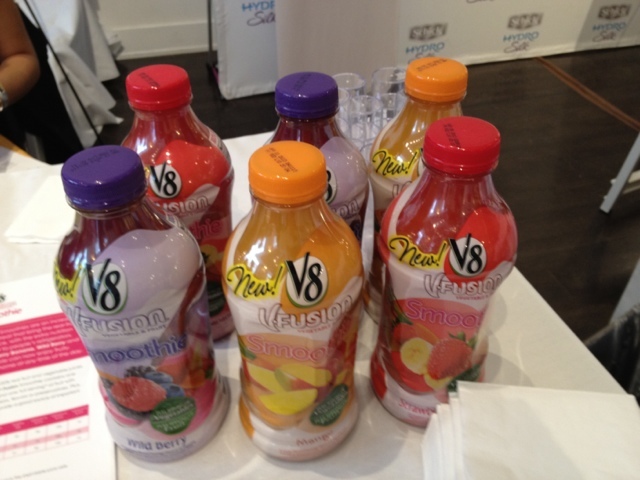 Three new flavors of the V8 V-Fusion drinks. My favorite was the Mango and the Wild Berry came in a close second. 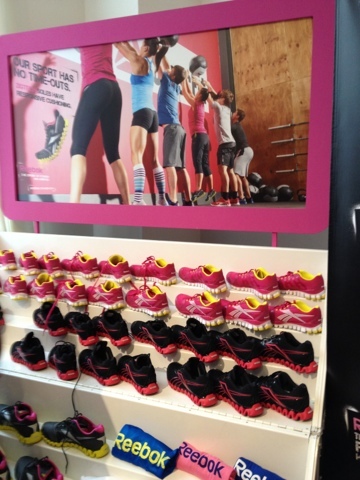 Reebok's new RealFlex Transition sneakers- first booth I visited and loved trying these on! Got a pair to take home and love love love them for my workouts! 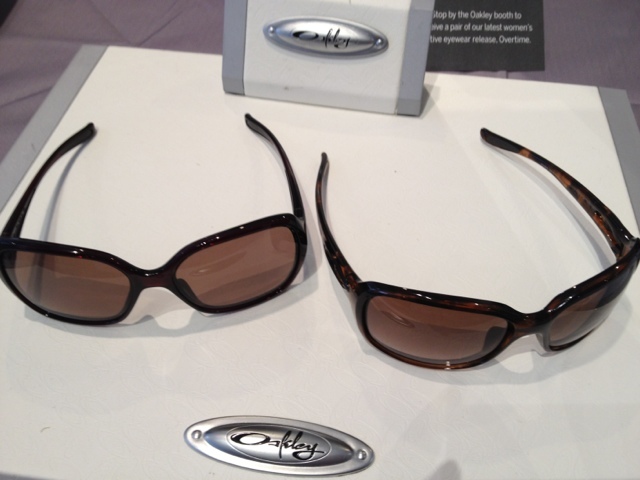 Not only do they feel light, the soles are comfortable and I feel like I have great support. 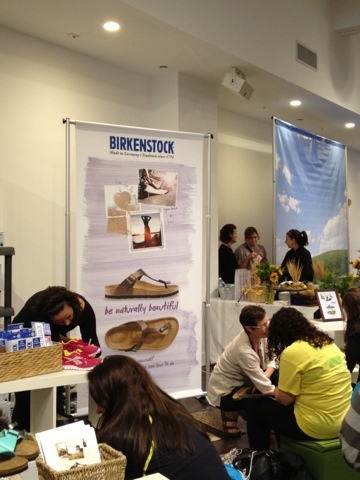 Shoe fittings for a pair of Birkenstocks !! Natural slippers and great to wear pre & post workouts. Already love, have and USE the Schick Hydro Silk shaver.